To continue improving in our daily training. 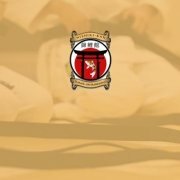 In karate we strive to achieve todome (finish technique) and at the same time we seek longevity in training. Both effectiveness and longevity are achieved by using precise movement of specific segments out of optimal static and dynamic postures and alignment within total body movement. Maintaining or restoring precise movement of specific segments and the relationships between segments is also the key to correcting or preventing musculoskeletal pain. The biomechanics of human movement is similar to the mechanics of machines, in that the longevity of components and efficiency of performance require precise movements of the rotating segments. In contrast to machines stress on the human tissues is necessary for optimal health, stress in the right amount can improve the strength of tissues. Too much stress can harm the tissues and too little stress is not effective. The loss of precise movement can begin a cycle that harms the tissues over time. As with other mechanical systems alignment is important. Optimal posture and alignment facilitates optimal movement. If alignment is faulty before movement starts, correction is needed to achieve ideal configuration, which must be retained throughout the movement. The more ideal the alignment of the skeletal segments, the more optimal the performance of the controlling segments such as the muscles and nervous system. Similarly, if alignment is faulty there is greater chance of causing microtrauma to joints and supporting structures. Studies have shown that the spinal segments subjected to most movement are the ones that show the greatest signs of degenerative changes, especially when movement deviates from ideal. Optimal muscular performance is achieved through subtle adjustments of muscular length and strength, as well as through patterns of recruitment, and this produces and maintains the alignment and balance of human joint motion. In Karate we constantly work on posture and alignment along with optimizing timing of movements. Timing of movement refers to external segments, and internal muscles action, the right amount of activation in the right time, and harmonious interaction of muscles action with the external dynamics. We also should stretch the typically tight muscles and strengthen the typically over lengthened and weak muscles. It is interesting to note that research shows that altered posture causes loss of proprioception (kinesthetic awareness and feedback mechanism through mechano-receptors in the skin, muscles and tendons) and altered timing of activation. For examples people who sit for prolonged periods with head forward posture show loss of proprioceptor cells around the lumbar spine, and the smaller muscles around the spine such as multifidus, and inner fiber of lumbar erectors, which are supposes to fire before movement and for prolonged periods (stabilizers), are starting to act as fast twitch fibers, their activation is delayed, and is for a shorter periods. Those changes mean that the stability of the lumbar spine is compromised and with it also the effectiveness of the bigger, outer muscles which are the “movers”. In karate terms optimal posture and timing of movement means, quicker start of technique, increased total movement speed, more powerful body snap and acceleration, and stronger and more complete muscles contraction at kime, and at the same time less stress on joints. 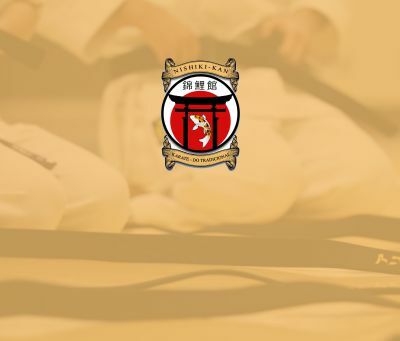 Optimal posture and precise sequencing is what makes karate technique most effective on the one hand and it is what makes karate so beneficial to keeping the health of the musculoskeletal system.